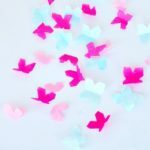 Continuing with my butterlfy fun I have these adorable butterfly decorations. 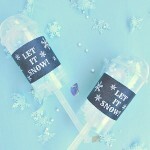 We just made these for at home for fun. 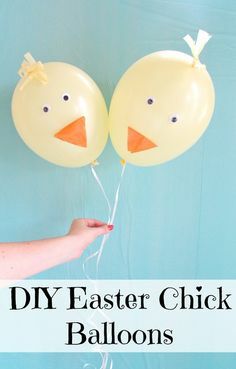 I’m starting to decorate for spring and these were just an easy DIY decoration. 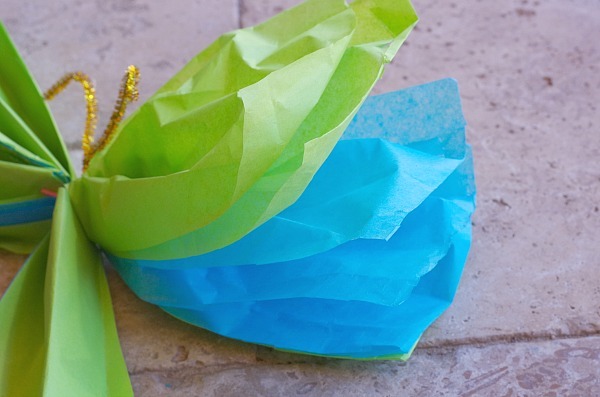 If you get a pack of 24 sheets of tissue paper at the dollar store you can make 12 large tissue paper butterflies! 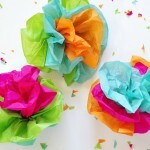 They are just as easy as my Tissue Paper Fiesta Flowers, check those out too! 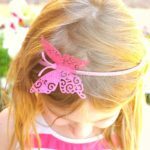 You can make them both for spring flowers and butterflies, they go hand in hand. 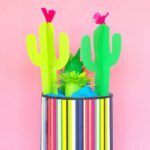 I chose bright fun colors for these but you can really do any colors you want. Butterflies come in so many different colors. We go to this place called butterfly wonderland that has a rain forest type room where the butterflies are flying all around. My daughter tries to get them to land on her but she mostly chases them away by running after them. She gets so excited if one lands on her, it is the cutest! She loves butterflies so much. 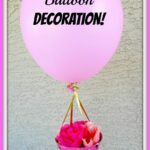 She also wants a butterfly room for her bedroom and these are a cheap and easy decoration to have in her room. 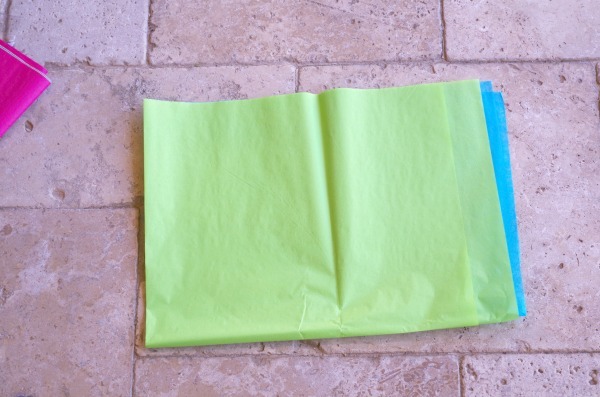 Take two sheets of tissue paper. 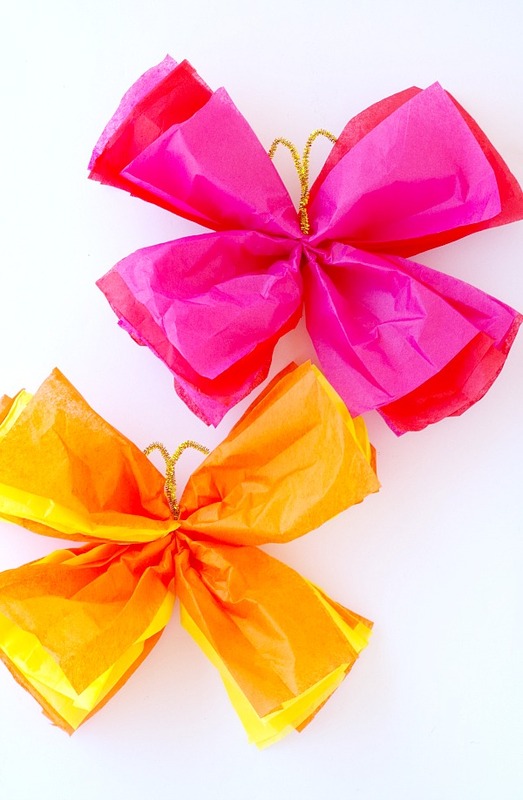 Fold them in half together once down and then fold it in half to one side. 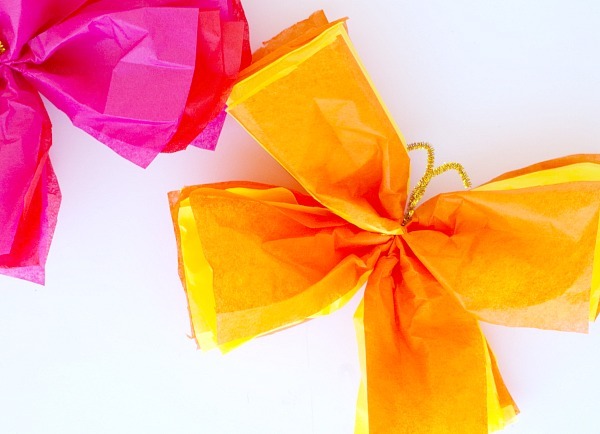 Take the folded tissue paper longest way across. 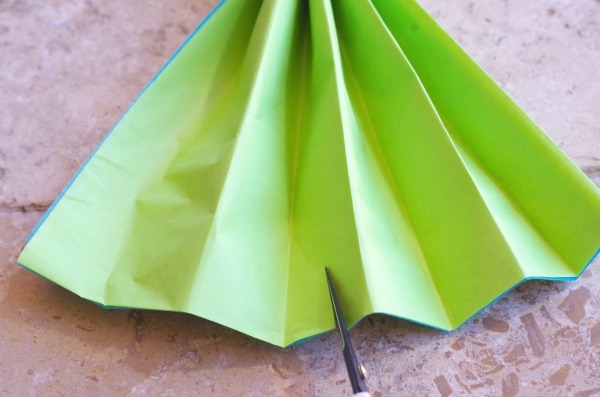 Fold over in one inch pieces back and forth in an accordion/fan pattern until the entire thing is folded as shown above. In the center cut out two tiny triangles on each side. 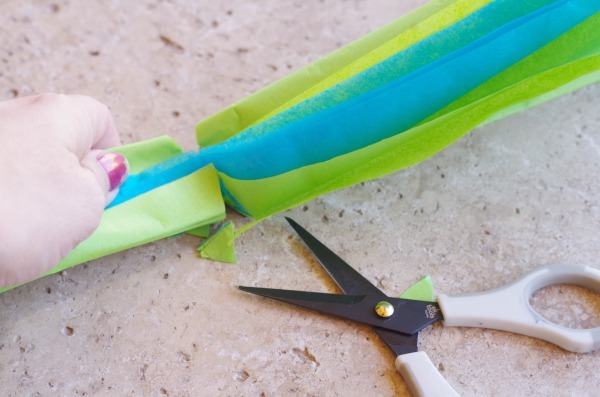 Tie a ribbon around the cut out part. 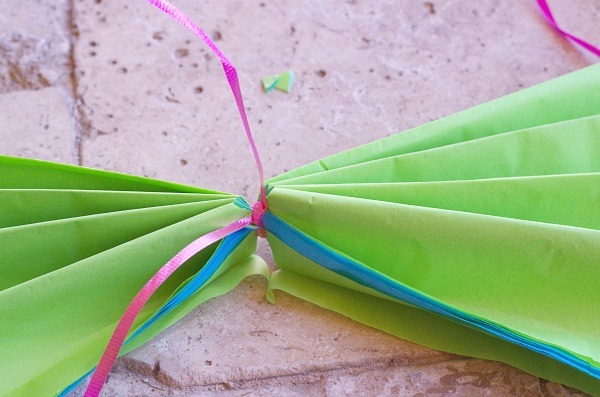 Cut down the center of both folded sides all the way to the tied part. 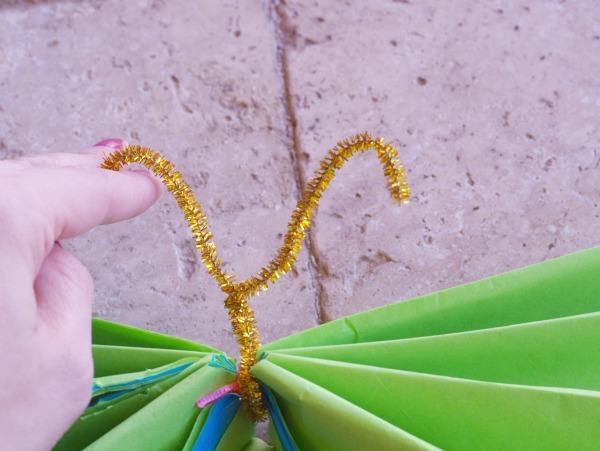 Wrap one gold pipe cleaner around the middle. 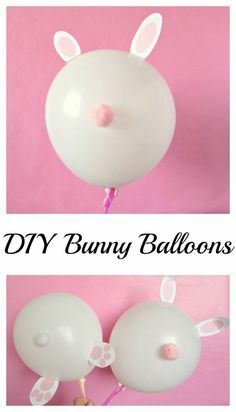 Twist it together on the top. 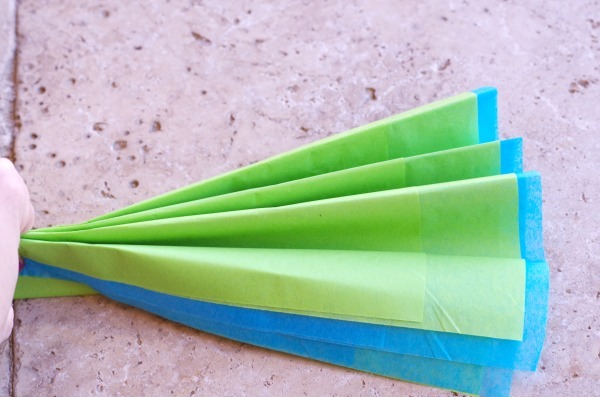 Then fold down the ends. 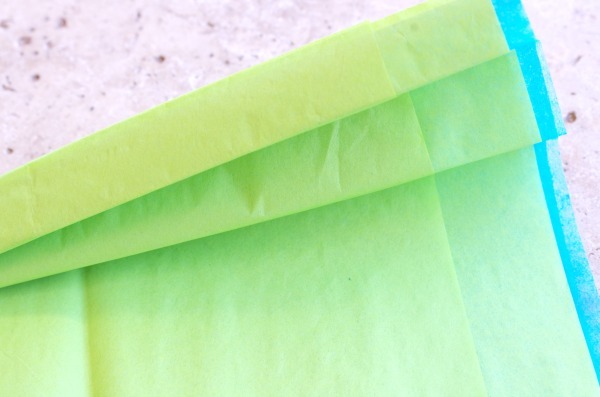 Take the bunches of tissue paper and separate the sheets starting at the top. 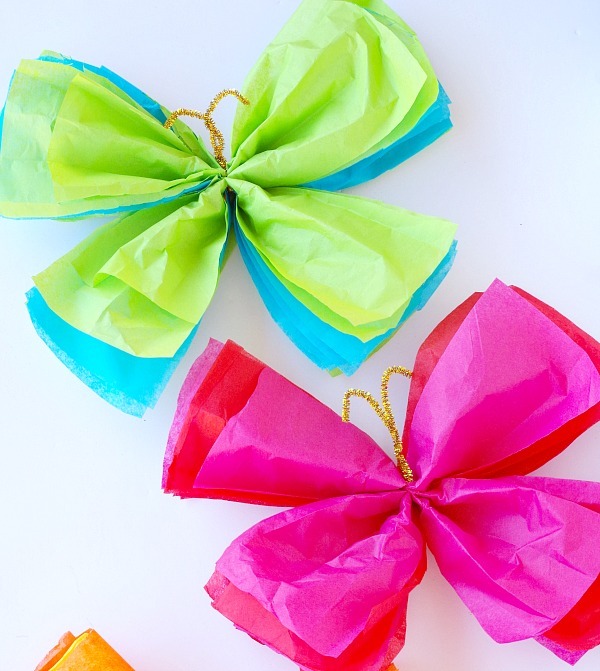 They were really easy to make and they look adorable! 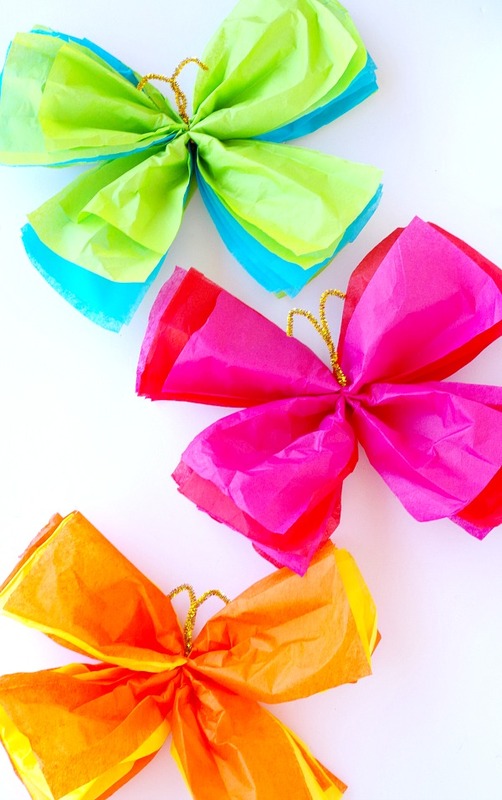 So bright and cheery for spring or summer. 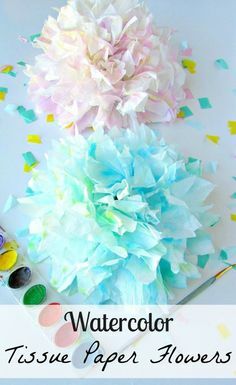 These tissue paper butterflies would make an adorable decoration for a butterfly party, kids parties, or kids room decoration.